delivers powerful & melodic, dark other-worldly sound, fusing synthesizers , electronic effects, atmospheres and drum machines in epic fashion. Tempelhof – Instrumentals was composed by Nicholas Reece and produced and mixed by Jolyon Thomas. It is Nicholas Reece’s first solo album for Opensonics. 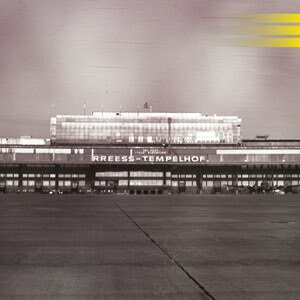 The album is originally with vocals by artist Rreess, entitled Tempelhof, and was conceived as a concept album centred around the imposing atmosphere and aesthetics of the historic berlin airport.